TRENDnet’s standalone 8-channel 1080p HD PoE+ NVR, model TV-NVR208, offers a comprehensive rack mountable video display, storage, and management solution. 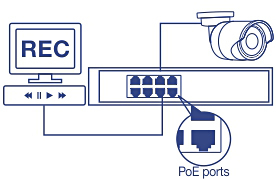 The NVR networks and powers up to eight PoE cameras* and auto-recognizes TRENDnet cameras. Install up to 12 terabytes of storage (hard drives sold separately) to record over three weeks of continuous video from eight 1080p PoE cameras**. The TV-NVR208 features advanced video playback and comes with a free iOS® / Android™ app. This standalone 1080p HD NVR supports up to 12 TB of storage and powers up to eight PoE network cameras (hard drive, cameras, and display sold separately). 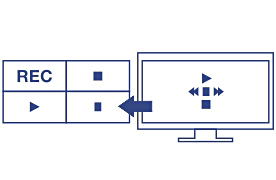 The NVR auto-recognizes and powers TRENDnet PoE cameras* – simply connect compatible TRENDnet PoE cameras and start recording surveillance video. 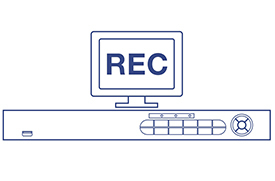 Users will find the management interface intuitive and easy to use-quickly navigate live view preferences, recording schedules, and advanced playback options.